The death of Nkechi Okonya, after giving birth to a set of triplets, has been attributed to loss of blood and mismanagement of her pregnancy, a medical inquiry has revealed. Nkechi was a resident of Gbazango Extension, Kubwa, a satellite town in Abuja. 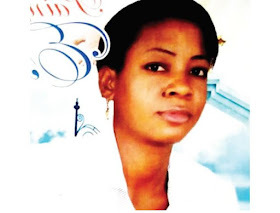 The inquiry which was carried out by the medical personnel at Bwari General Hospital where she died, indicated that the pregnancy was not properly managed by the Primary Health Centre where she had the first of the triplets before she was rushed down to the General Hospital. Nkechi, 32, died on April 20, 2018 after undergoing a Caesarian Section, leaving behind her triplets and two older children who are now being catered for by family members. The Medical Director, Bwari General Hospital, Dr. Osayande Osagie, deflected blame for the death, stating that his workers went beyond the call of duty while attending to the deceased. Though she was referred to the Bwari General Hospital from the PHC when she could not deliver the remaining two babies after having first one, Osagie explained that the patient did not get to the BGH until after four hours. Osagie said, “She was referred at 11am, she got here at 4pm and by 5pm, she was already in the theatre. This is someone who was not our patient; so, we had to stabilise her, get blood because of her condition. “We delivered the second and third child and the first had to be admitted at the neo-natal unit. He added, “Because of the amount of hemorrhage she had had, she was still bleeding, we gave a total of three pints of blood that Friday night before she died. “The case has been discussed; we invited the primary referral centre to talk to them about management of multiple pregnancies which are high risk pregnancy that cannot be managed by the PHC. “Even in this hospital, there are some patients that we preferred that they should be managed by a tertiary health centre, because there is division of care. The MD said the hospital did not ask for money from Mrs. Nkechi Okonya, adding that her family did not pay for the surgery and other consumables that were used. He noted that the deceased’s family went away with the babies without settling the medical bill. “They (Okonya family members) took the baby from the neo-natal and left; they didn’t pay a kobo. We only discuss payment after the patient has started recovering, that is why we didn’t demand money from them. “We knew the case was bad immediately they brought her in; twins are high risk pregnancy, we are now talking of triplets. “The patient did not come in time. We have invited the head of health unit in the area council and the PHC where this mismanagement started and we have discussed with them. There are some patients that should not be handled by the PHC,” Osagie explained. The doctor said that after the inquiry, the head of health departments in area councils were also invited to a meeting and advised against admitting women with multiple pregnancies. He disclosed further that everyone that took part in the management of Nkechi Okonya’s case participated in the review to educate them in order to prevent a recurrence. When contacted for reaction, a cousin to the deceased, Chinwendu Ekwunife, told Punch she needed her husband’s permission to talk to the media, but she failed to respond to subsequent phone calls.